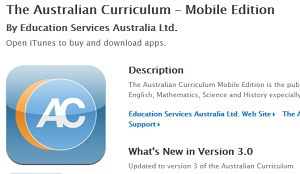 I highly recommend this ACARA app for the Australian National Curriculum. A well thought out application for iPhone, iPad or iPod Touch can do much to alleviate the stress and strain of trying to come to grips with curriculum issues as a teacher. We are preparing and delivering lessons, marking, teaching, assessing.When there are new curriculum requirements and directions it always puts on the strain into an already very busy schedule. So why not use technology to lighten the burden? I downloaded relevant shape papers from the ACARA curriculum site. They are worth having but they take time to go through. The beauty of this app is that it gets the key points across one tablet page at a time. You can get a good overview, you can take in the relevant information and you are just dealing with one small screen. At no stage do you think it’s too much. The ACARA app is put together so you can navigate through the current requirements and since it is presented in tablet form then it cannot be too dense in its approach. I found it helpful. It has made me realise that apps have their place when you want people to learn something and come to terms with it. Instead of giving them 10 or 20 A4 pages to read – give them an application which logically takes them through the key features of what you want them to know. The app makes you more aware of the structure of the national curriculum. It makes you see at a glance what the key features of each area are. 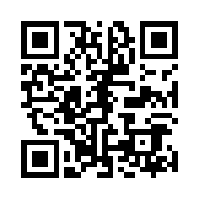 In time the app can link us to examples, key papers, key resources. It can reach out for us so we can access what we need to know. I think it’s a good addition to our National Curriculum information – the more so because it is on something I have with me all the time. Currently it is on my iPod Touch but I shall download it onto my iPad too. The fact I have seen this has made me think we need to try to create some applications for our classwork and courses. It really is a straight forward way of learning information and then branching out from that. Categories: ACARA, general capabilities, personal and social capability | Tags: ACARA, ACARA app, app, Australia, education, iPad, iPod, iPod Touch, national curriculum, personal and social capability | Permalink.